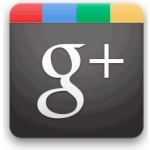 I've heard that Google plus is starting off huge so I went thru my emails, found a google plus invite, and joined. I', ten minutes into it and I already love and hate Google Plus. Henceforth known a Gplus. What do I love? Its about time somebody gave me some control over my information so that I can have one set of messages for my work colleagues, another for my soccer buddies, and a third for my family. This seems so obvious to me but Facebook somehow seems stuck in an everyone-sees-or-nobody-sees mode. Yea Google. Thanks Google.